Due to some of the moral subject matter, I abandoned this book and will not be reading any more in the series. Damien is sent to a planet, as an Envoy under the tutelage of a full Hand. They are ostensibly looking into terrorist activity but in reality are on planet to arrest the governor who is corrupt as they come. What the Hand nor Damien realize is that the Martian Navy personnel have been co-opted by the governor as well. This all leads to the death of the Hand, the destruction of her ship and crew and Damien on the run in a hostile world where his only allies are the “terrorists” he was publicly investigating. He has to survive the governer and his forces, the Martian navy and it’s corrupt Captain and the rebels. Making an alliance with the rebels, Damien gets off a message to the King, who sends out a force of sufficient size to handle the rogue Navy. Damien must take care of the governer and his forces so that the arriving Navy, with its marines, don’t have to invade the planet. Things get complicated when one of the governer’s loyal generals has nukes planted under 7 of the major cities and threatens to blow them all up if the Martian Navy doesn’t leave. Damien “does magic” and things get all straightened out. Dang. 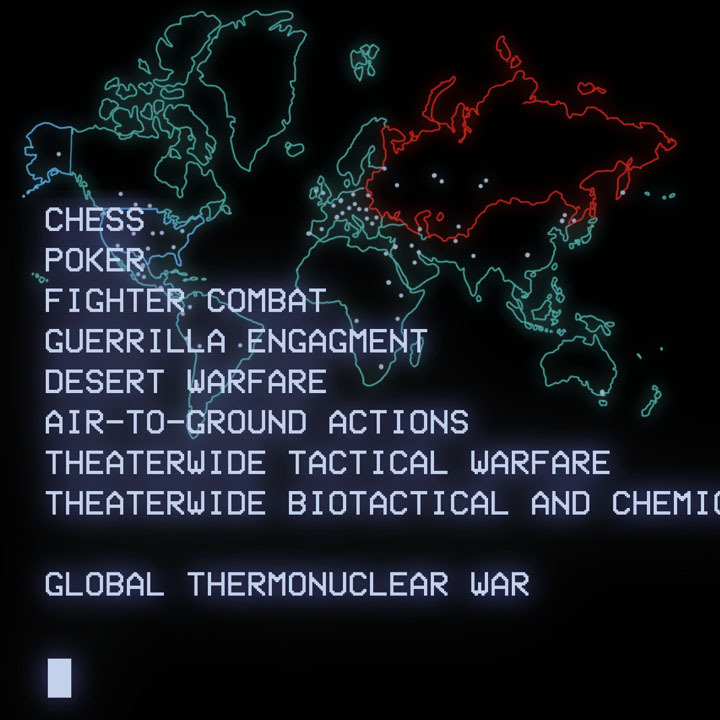 I was hoping to “play a game of Thermonuclear War”. That Broderick was a pansy and I would have shown him up by WINNING the game I played! I actually enjoyed this more than the first book, mainly because this was one single novel instead of 4-6 “episodes”. However, I kept it at the same rating because Damien has power jumped so high, so fast that the suspense wasn’t really there. I am really enjoying this mix of magic and technology. Stewart has combined them in a way that doesn’t annoy me or set my teeth on edge. It is also just fun. The story is full of fighting and trials and battles. There really isn’t much else to say. I enjoyed this, it was fun and Damien is a bit too powerful. And speaking of too powerful, now I’m off to read some Eyeshield 21 manga, ha! I could have totally won that game! Damien Montgomery has graduated from the Mage Academy. Unfortunately for him, every other graduate is a family member of the ruling family and they get all the prime picks of starships to be mages of. At the same time, a freighter, the Blue Jay is ambushed by pirates and it is only by the sacrifice of their mage that they escape. That mage was the youngest son of the System Governer. Who then blacklists the freighter and it’s Captain, David Rice. Thus is born a most convenient pairing. Unfortunately, Rice is running from organized crime, as he got the son of a crimelord killed. The mob is pursuing the Blue Jay and only by illegally modifying the runes does Damien save the ship and the crew from yet another ambush. This tampering gets him thrown in jail. The crew of the Blue Jay break him out when they find out that a Hand of the Emperor has been assigned to strip Damien of his magic. Now on the run from Imperial Forces, the Mob and bounty hunters, the Blue Jay must figure out a way to survive. Unknown to them, the Hand is actually wanting to recruit Damien for his ability, not strip his magic.It all comes to a head when two opposing Crime Lords and the Imperial Fleet collide. Damien survives and comes under the tutelage of the wise and benevolent Mage King of Mars. I enjoyed this quite a bit. So I’m going to lead with my complaints and then end on a good note. Stewart shows his big government love and goes all starry eyed at how wonderful and benevolent the Mage King and his Hands are. The Imperial Worlds that all accept the Mages are keystones of civilization while the few worlds that won’t allow mages on them are corrupt, backward horrors. There is one world that was based on Libertarian principals and Stewart really shows his contempt for personal freedom there. Everyone carries a firearm and children begin training at a young age and Stewart manages to convey his utter horror at such a thing. My goodness, imagine a whole world where people are actually trained in how to use guns?!? I’m in shock. Just think, they might resist the Benevolent oversight of a Government that knows better than them. I’m having heart palpitations just thinking about such a travesty. And the romance. Damien gets involved with a crew member and then at the end when he’s off on his merry way to become the protege of the Mage King, it is like “hey,nice knowing you. Goodbye”. It would have been better if there had been no “romance” than something like that. Once you get past that, things are pretty smooth sailing. This was originally a 5 part serial, so each part is a complete story that tells its tale while propelling the overall arc. It was like 5 rather long chapters. It worked out really well but it also convinced me that I am right in avoiding serials. I need the one long story narrative for me to keep interested. Ok. The fighting was good stuff! The Blue Jay was the underdog the whole time so they had to get creative. Damien was the major force behind that, but other crew members handled creative thinking as well. From personal gun battles on space stations to major ship engagements, Stewart kept me very well entertained. The whole “magic” thing just kind of “was”. It ws vaguely explained as eugenecists from long ago messing around with genes and human atrocities committed. From their experiments came the Mages. Magic came from Super Science. Just go with it. It is not a major point of the story so the less time you think about it, the better. I am looking forward to the rest of this series. Because come on, does it get much better than Mages making Starships jump through space? The only thing that would have been better is if Damien invents himself a light sword. I’m hoping that happens later. On an unrelated note, my reviews are getting longer, much longer. I apologize to my future self and to anyone else who happens to read these.